Aviation is a true modern miracle but, when it comes to airports, they're rarely brilliant. But not all airports are created equal. At least, that's what The Original Tour found out when it commissioned a study to find out how London's airports rank for international travel. It looked at factors including delays, cancellations, fares, queuing time, and distance from the city centre. 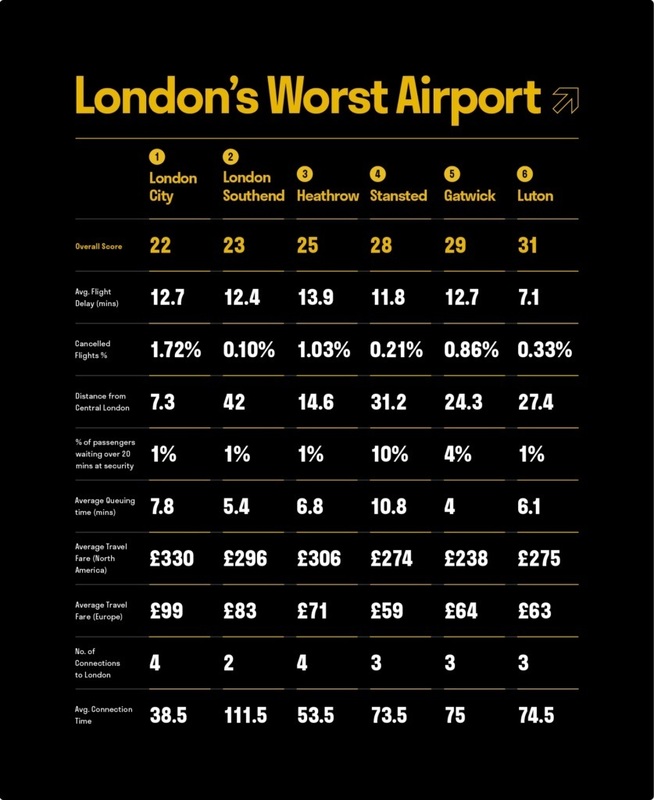 And, according to the study, London's worst airport is... London City. 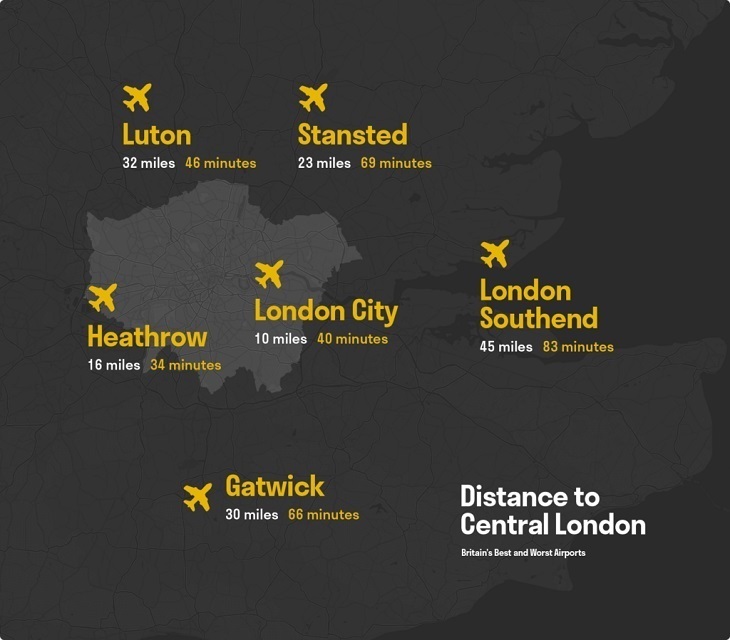 Despite being the closest to central London, London City had the highest average travel fare for flights to North America and Europe, as well as the largest percentage of cancellations (1.72%) of all the airports analysed. 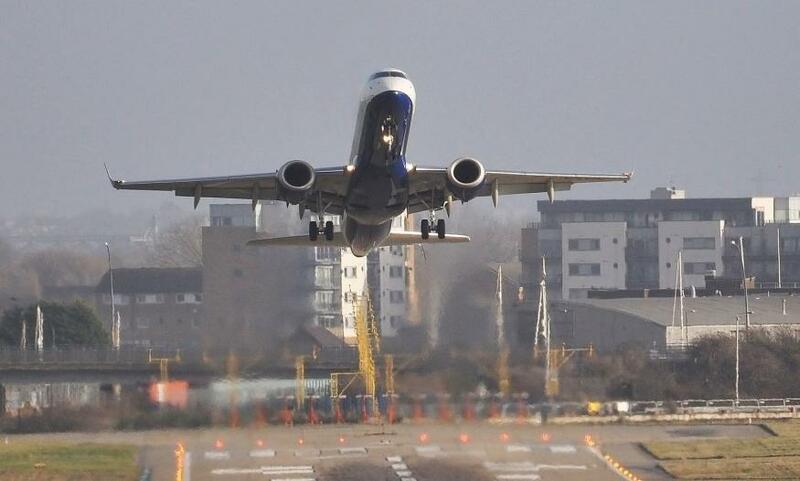 City's average flight delay of 12.7 minutes puts it on a par with Gatwick for tardiness. By contrast, Luton — which came out on top — only leaves passengers hanging for 7.1 minutes on average, and its European fares were found to be roughly a third cheaper than London City's. Low fares and minimal delays, coupled with a short wait at security and few cancellations may have made Luton the highest flier, but Gatwick has all the rest beat when it comes to queuing times. Pretty impressive considering it's the second busiest airport in the UK. That said. we're taking the study with a pinch of salt, as it fails to take a few factors into account. Save for London Southend (which barely qualifies as a London airport anyway), London City is the least busy airport in the lineup. Sure, that might make its long queues feel particularly egregious, but for anyone who hates heaving crowds, that's got to be a plus. It's also comparatively tiny, making it a good choice for weary travellers and those with kids in tow. The convenience of its central(ish) location shouldn't be underestimated either. Those flying into London on business can get to Canary Wharf in less than half an hour, and from there it's just another few kilometres to the Square Mile. Still, if you're seeking a bargain, or hate queuing, you should probably look elsewhere. Though, once London City's £480m redevelopment is completed in 2025, perhaps it'll be a different story. Check out The Original Tour's findings in full here.